Putting a tragic cap on a week where twin child stars have been in the news, Variety reports that Sawyer Sweeten, a child actor who, along with his twin brother Sullivan and older sister Madylin, played the Barone siblings on Everybody Loves Raymond, has died of an apparent suicide. He was 19 years old. 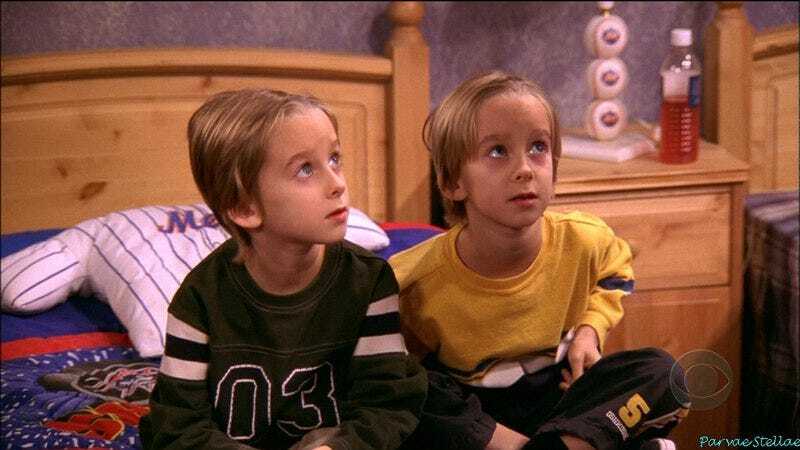 According to The Hollywood Reporter, Sawyer and Sullivan Sweeten were 16 months old when they joined the cast of Everybody Loves Raymond in 1996, and remained on the show until it ended its run in 2005. The brothers, who acted as a team, also appeared in joint roles on a 2000 episode of Even Stevens and in the 2002 comedy Frank McKlusky, C.I. The last time the Sweetens appeared in public together was at the 2010 TV Land Awards, and they largely stayed out of the limelight after Everybody Loves Raymond wrapped.